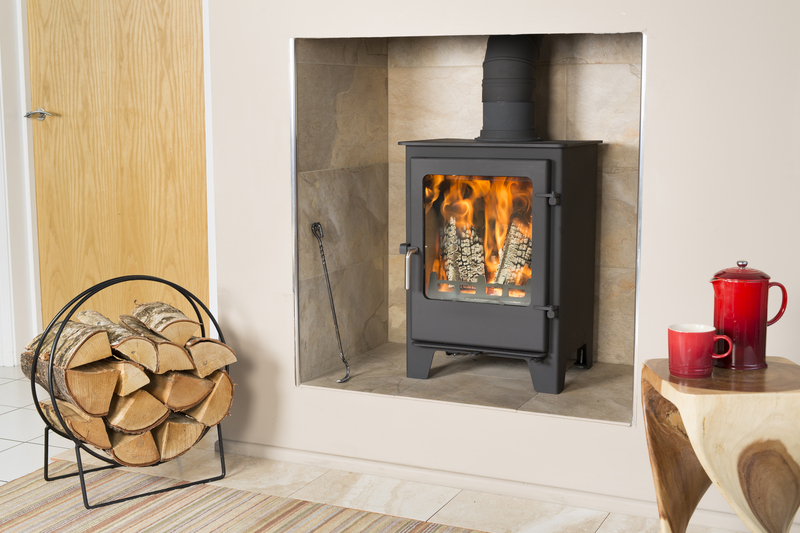 The Harrogate stove is a future classic – simple and sleek, perfectly balanced between a modern and traditional look. The Harrogate would look at home anywhere! 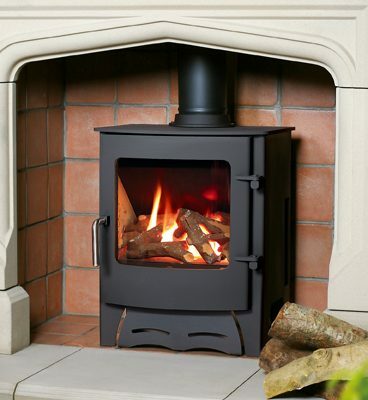 With it’s taller build, large glass window, and simple lever controls you’ll always get a brilliant view of the fire. 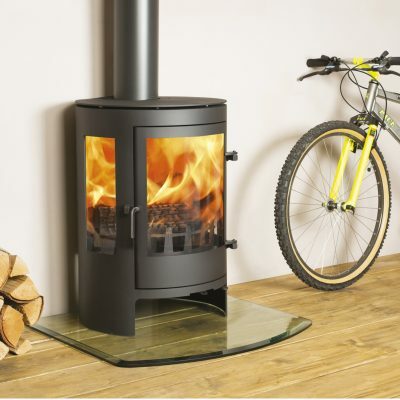 The large glass window benefits from a built-in air wash, which keeps the glass clean and clear much longer than most stoves. On top of all this, the Harrogate also has tertiary air technology, which re-ignites gases from the fuel to give you more heat and a cleaner burn. Both of these technologies, as well as the main airflow to the fire are controlled by the two simple levers at the bottom of the stove. 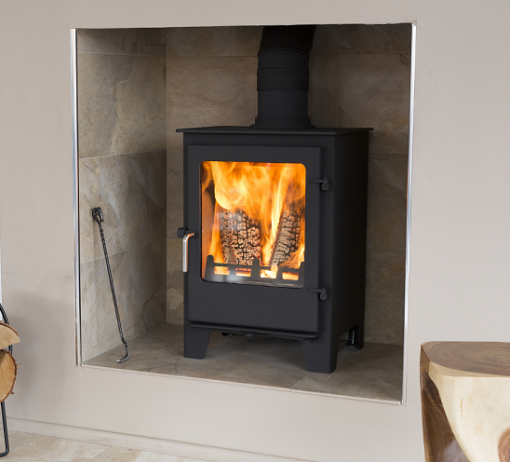 Like all of our stoves, the Harrogate is available in black as standard, with a large selection of colours available at a small extra charge. The special paint we use is extremely resistant to high temperatures. 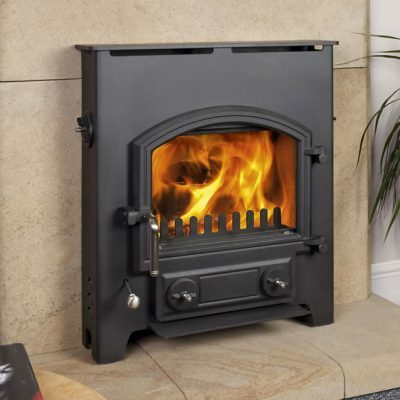 The Harrogate can be supplied with an outside air kit, which is now a requirement in a lot of new build properties, and this version is also available with remote control if required.